What To Wear in Winter? 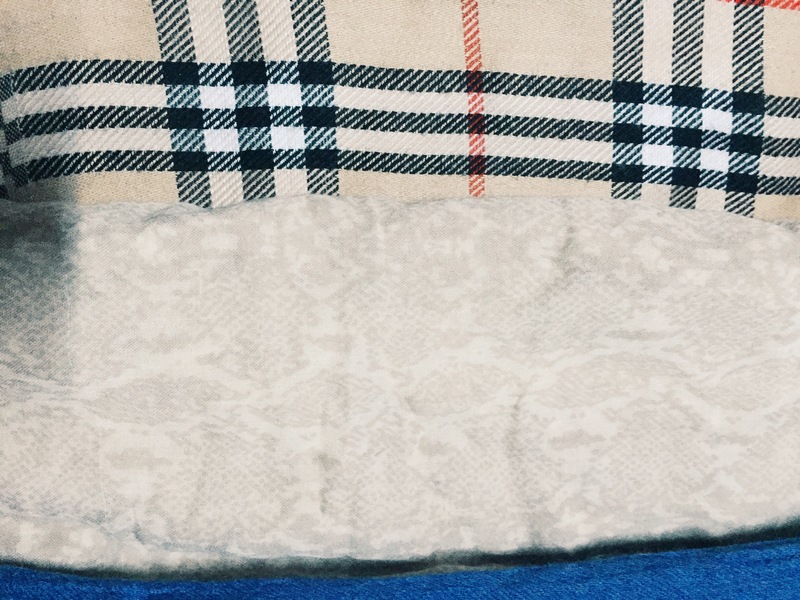 How To Keep Yourself Warm While Travelling? Christmas is coming, are you going somewhere cold or snowy this winter? Are you a first time winter traveler? Do you want to keep yourself warm and stylish instead of looking like a walking Hamburger? Don’t worry, you would definitely be looking good after this! Whether you will be travelling to countries with snow or not, as long as the temperature is under 20°C and there would be a strong wind forecast, then I suggest to put on yourself some Thermal Wear (usually known as Long John). Thermal is a pair of long sleeves shirt and pants that normally worn during cold weather. So, thermal is worn for the first layer of cold protection, and you could wear flannel shirts or sweater on the second layer. You could find yourself a softer and thinner thermal if you are afraid of looking fat. 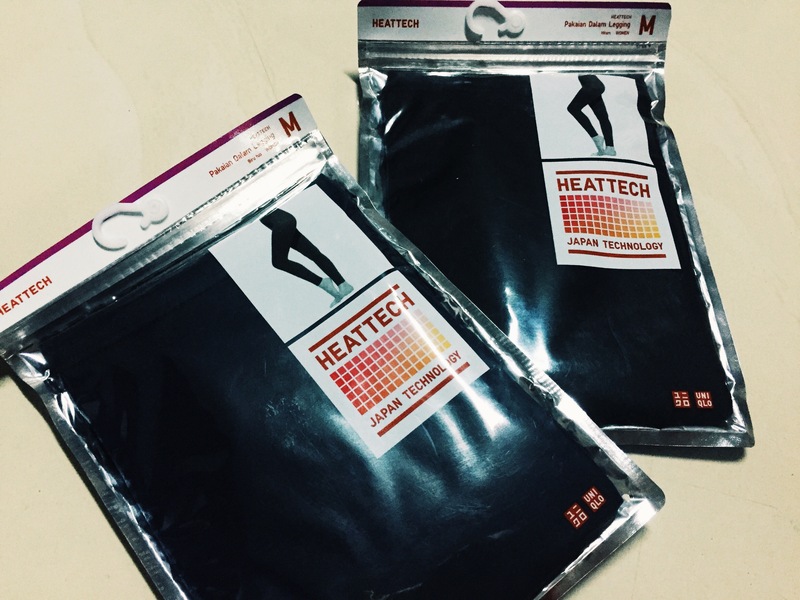 There are many thermal brands sold in department store, but my favorite has always been the Heat-tech by Uniqlo. There are many colors available, such as Black, Navy Blue, and even lighter colors. By wearing a thermal doesn’t mean that you would not feel cold no matter how low the temperature is, this is something that many had misunderstood. A thermal is worn to kept the heat or warmth inside your body, and protect you whenever the wind is strong. You definitely need to wear a second layer after you put on your thermal, such as flannel Shirts and sweaters. There are no restrictions to what kind of second layer you should wear, but remember to choose a warmer fabric. Remember, it is so wrong to think that the clothes will keep you warm as long as they are long sleeves or cover your body. No, they are not! 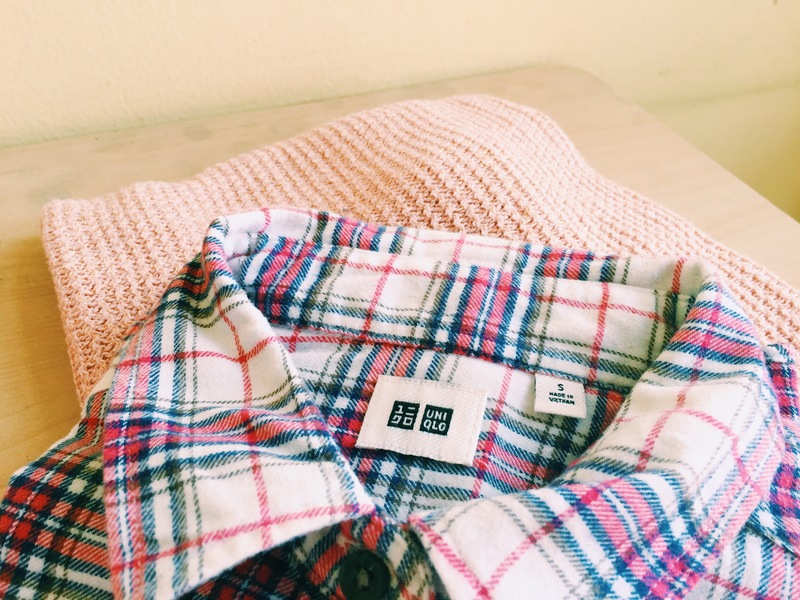 put in mind that long sleeves shirt or turtle neck made from cotton are not able to keep you warmth enough, but wool could, so bring yourself a more suitable clothes to keep you warm. You thought two layers would be enough, no, not yet. If you would be travelling from day and night, what makes you so sure your body is able to handle the 24-7 cold? You definitely need a winter coat. The type of winter coat depends on where you would be going as well as the temperature; you would need to buy a thicker wool fabric because they are warmer. Winds are usually strong while winter, so a decent winter coat would keep you away from it. One or two piece of coats are enough, you could have one in brown color, and the other one in black, keep in mind that these colors definitely never die. Many has asked me whether or not they need a very thick winter coat, the one that would make you look like a Definite Hamburger? Well, the answer is yes if the place you would visit are snowy as having a strong wind. 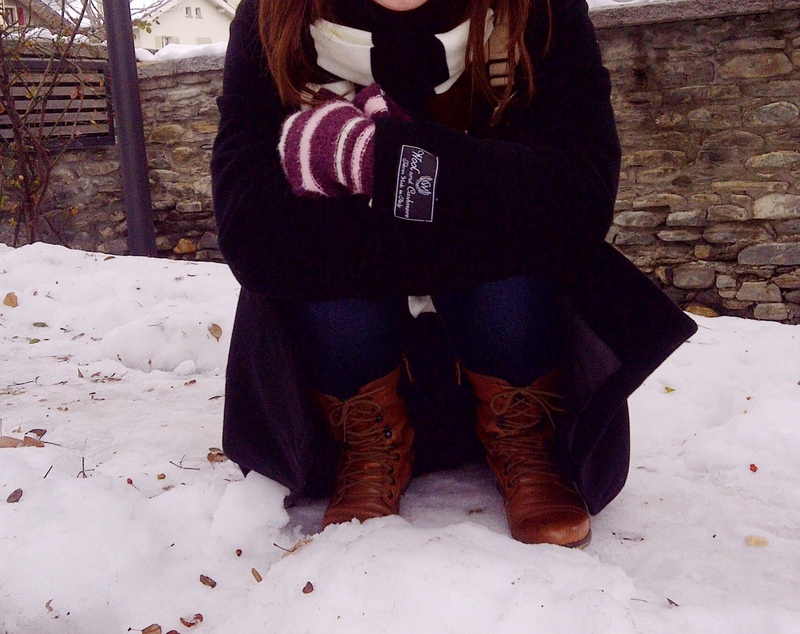 I was in Brig, Switzerland last time, it was snowy but no winds, so an usual Winter coat worked well for me at that time. I am a scarf collector, and it is my most favorite winter fashion accessories. Why? Because you will be wearing your same winter coat over and over again. I wouldn’t want to look the same in the picture all over the time, and different kinds of scarf would give us different kind of looks. Nobody would know what I wore inside, but they certainly could see differences from the outlook, wouldn’t they? However, scarf not only about the look, but scarf is also effective in protecting our neck from the cold. Gloves are effective to keep the warm in our hands, and you have to wear it while your hands are still warm, and not after they are cold. The common gloves we had would not allow us to use our phone, but with a touch screen gloves, you wouldn’t need to put on and take off your gloves while using your phone anymore! Every part of our body is important to be protected from cold, and feet unconditionally. You walk and travel with your feet, right? So you need to make sure they are healthy and warm as well. You need to buy yourself a couple of wool made socks to keep them extra warm, because cold and even wet feet would affect your activity. I prefer leather boots, because they are usually stronger and better made. 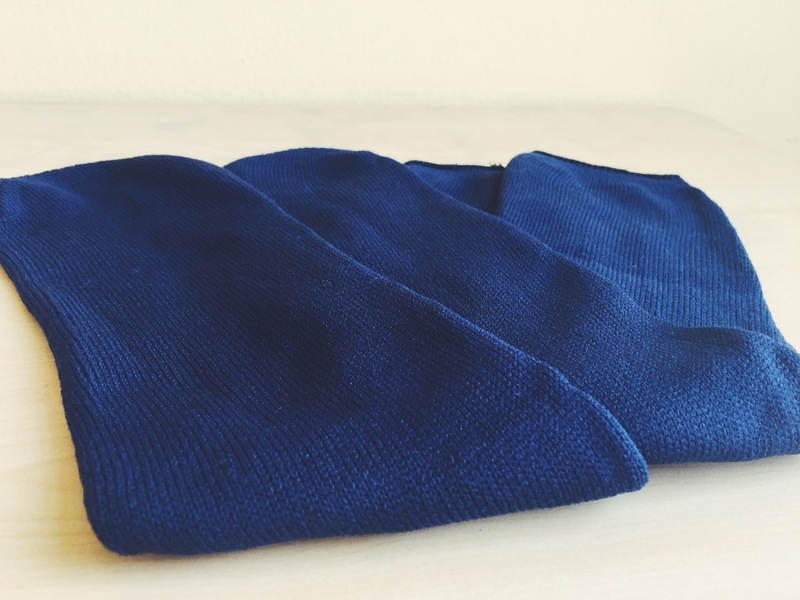 If your wool socks have warmed your feet enough, then basically you don’t need to buy boots because boots are expensive. However, if you compare common shoes or sneakers with boots, then definitely boots are better. Not only they are stronger, but some are even waterproof. 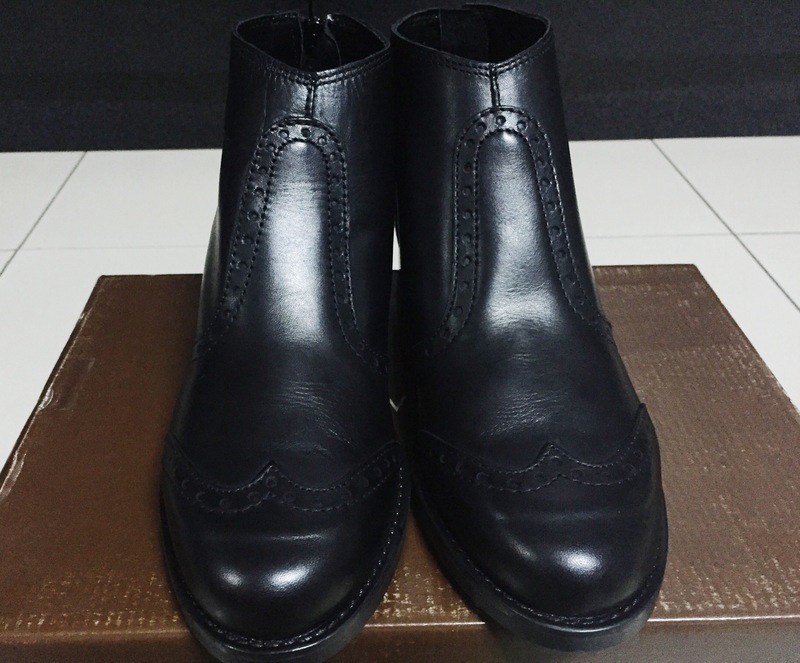 Black colored boots are easier to match with clothes rather than brown colored boots, make sure you bought 1/2 or a size bigger than what you usually wear, because cotton socks are definitely thicker. Now you definitely are ready to look good this winter! Have fun! We’ve heard stories about General Guan, one of the most well-known generals in Three Kingdom. He is famous for his bravery in the battlefield, as well as his deep sense of loyalty to Liu Bei, who would eventually become King of Shu. However, General Guan and his son were captured and executed by Wu Kingdom in the battle of Jiangling, then his head was later sent by Sun Quan’s troop to Cao Cao in order to frame him. After the death of General Guan, he was defied as the God of War, and many temples are built as a form of worship to the deceased General Guan. However, there are three most well-known temples of General Guan that you have to visit while you are in China. 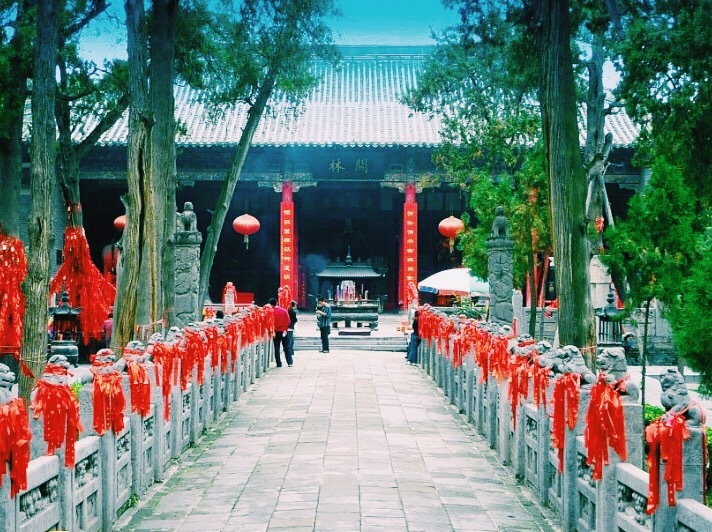 Guan Lin Temple is the most popular General GuanTemple in China, because his head was burried in this very land. The temple CaoCao built was just outside the South Gate of Luoyang City. After seeing General Guan’s head in the box, Cao Cao collapsed and did not regain his consciousness for some time, and when he was conscious, he claimed “General Guan is truly a god from heaven!” and ordered the head to be buried with honors”. Guan Ling Temple in Hubei is the place where General Guan’s body was burried. It was located around 3km in the northwest of Dangyang County in Hubei Province. 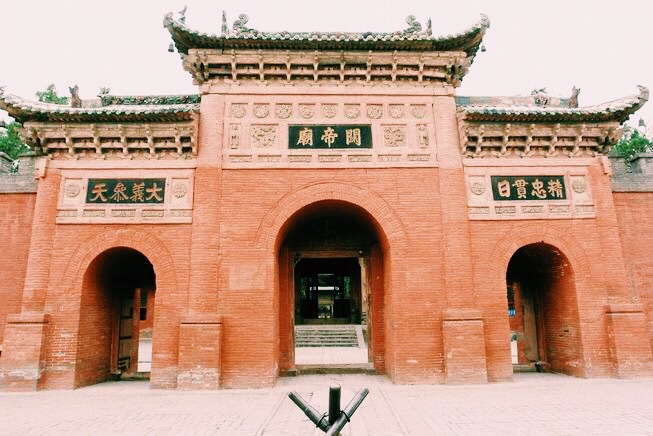 The Temple was built during the East Han Dynasty (25-220) and called “Yiyong Ancestral Hall of Emperor Wu’an”, but then the name changed to Guang Ling after repaired in Jiajing 15th year. According to history, after General Guan was defeated, Sun Quan took his severed head to Cao Cao in Luoyang, while the body was buried there as the feudal lord. It was just an earth grave at the beginning, but then time over time, some pavilions were built, gate was added, and then the temple was established in 1467. Guan Di Temple is in Shanxi’s Xiezhou County. This temple was built because General Guan was born in nearby Changping Village. Xiezhou’s Temple of Guan Yu is located in Xiguan, Xiezhou Township, Yuncheng City of Shanxi Province. 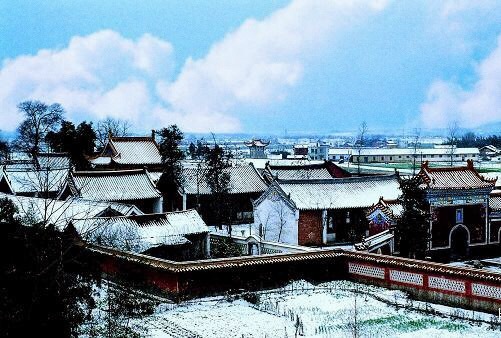 Changping Village 10 miles southeast away from Xiezhou is the birthplace of Guan Yu, and the temple was built in the ninth year of Kaihuang Period during the Sui Dynasty. The three temples of General Guan are regarded as important General Guan temples because his head, body and soul were remained in each temples. I extended my stay in China by using the tour of chinadiscovery.com and their service was definitely excellent. You will just need to tell them the place above, and they will plan you the perfect itinerary. 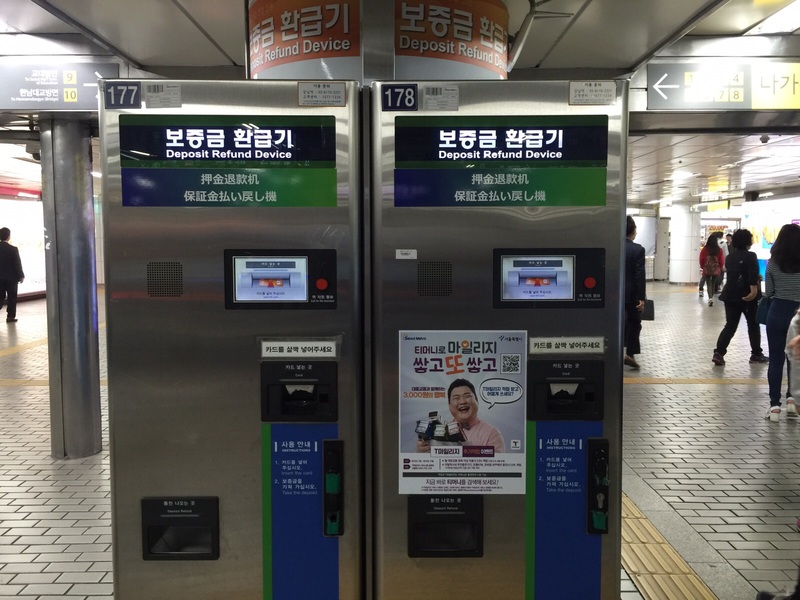 Subway Experience in Seoul with T-Money and M-Pass! Subway is one of the most convenient public transportation service in Seoul, it consists of Line 1 to Line 9, also additional lines in the metropolitan area. In addition, each subway station has a name, number, and a color representing the subway line. Although taxis are not really that expensive in Seoul, subway is still one the cheapest and easiest option for Solo traveler. T-money is just like EZ-LINK mrt card in Singapore, PASMO or SUICA in Japan. 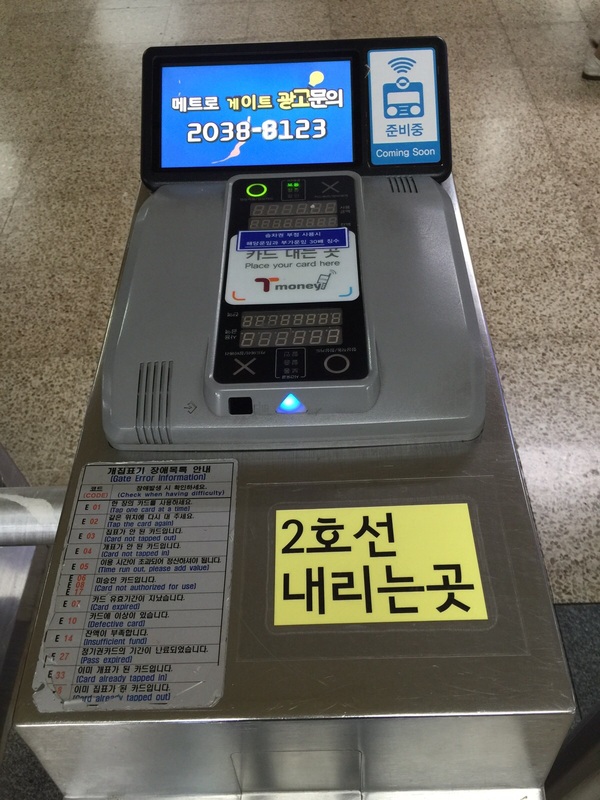 However, it can only be used on public buses and subways in several different metropolitan cities and locations (Seoul, Gyeonggi-do, Daejeon, Incheon, Daegu and Busan). We purchased T-Money in this machine with the price W 2,500 (W 2,000 balance, with a W 500 nonrefundable service fee). 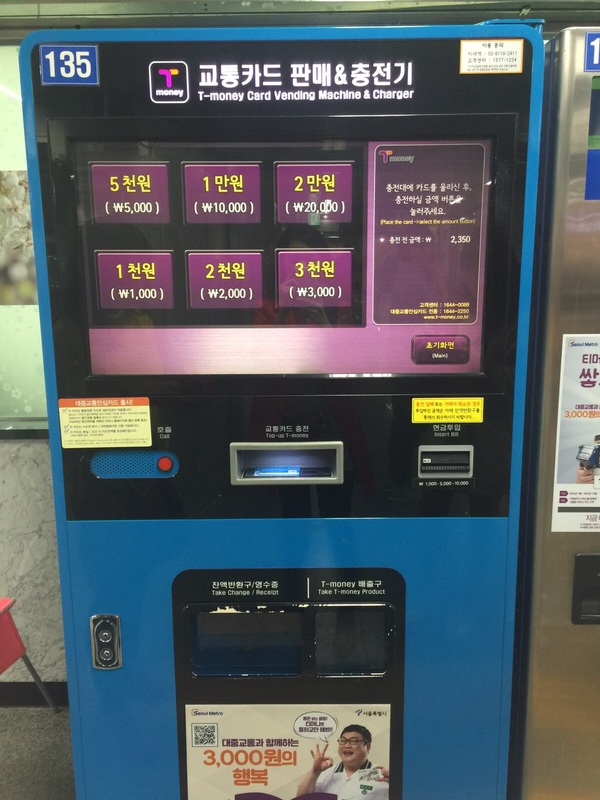 You could recharge with amounts ranging from 1,000 won to 90,000 won (maximum value the card can hold is 500,000 won). The credit will be deducted each time we use it. Note: You could refund your remaining balance in T-Money at convenience stores, such as GS 25, CU, 7-Eleven, Mini Stop, With Me, Buy The Way (bearing the T-money logo with remaining less than W 20,000). But, if the remaining balance exceeds 20,000 won, you may receive a refund at the T-money Headquarters (1F of Korea Smart Card Corporation Ltd.*), so it’s better to recharge only as much as you will need. T-Money is not returnable, so you could keep the card for a momento! 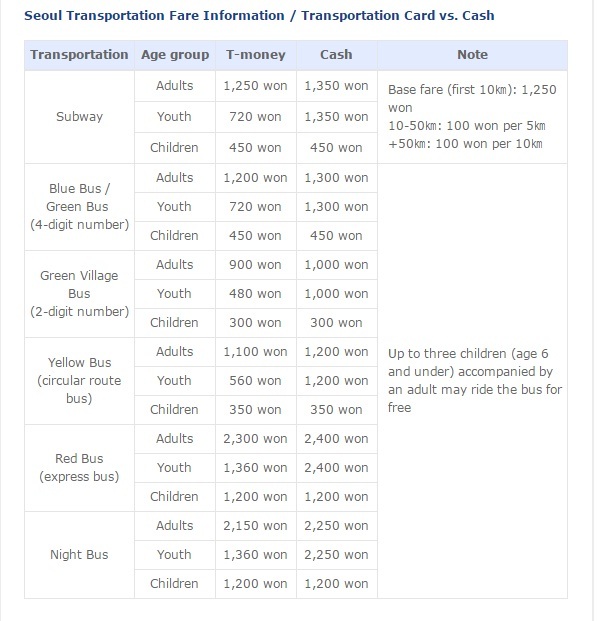 T-money fare is slightly cheaper compare to cash, so here is a comparison table of T-Money and Cash. T-Money card could be used in subway, buses, taxis, and transaction at convenience stores (must have T-Money Logo) as long as you have sufficient fund in the card. Also if you forget to tap your card on the sensors as you get off the bus or exit the subway, you will be charged double the next time you use it, so beware! So, after you had this magic card, the next thing you shall do is to decide where to go and knowing where you are at the present time. 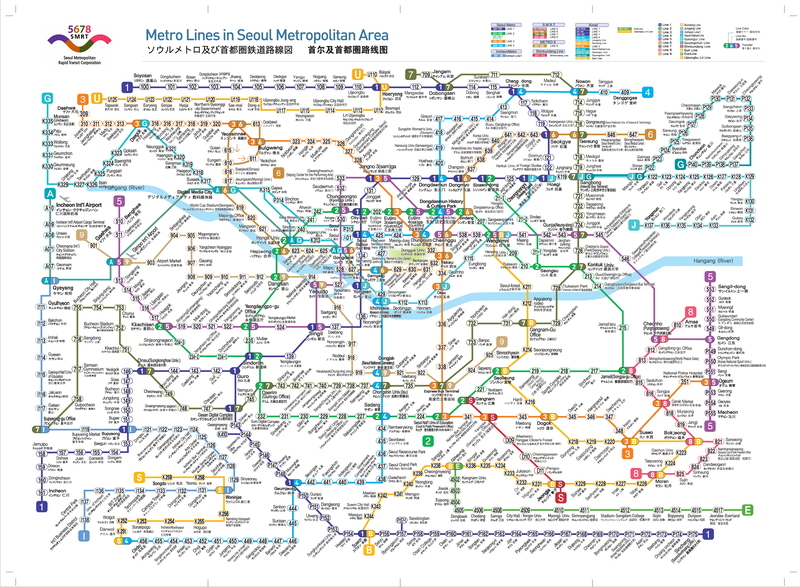 Example: How to travel from Hongik University to Seoul Station? 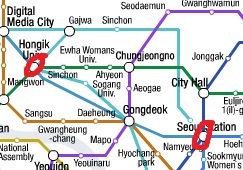 Get on the subway at Hongik University, take the Green line (Line 2) and get off at City Hall station. Then change to Deep Blue Line (Line 1) and Seoul Station is the next stop! If you would be taking more than 5 rides a day, I suggest you to have yourself an M-Pass. According to korea site, M-Pass offers 20 rides a day for the duration of the pass in the Seoul Metropolitan City area and Jeju, including Seoul Subway Lines 1-9, Incheon Subway, AREX’s (Incheon Airport Railroad Express) standard train (i.e. not the express train), metropolitan trains (except the Sinbundang and Gyeongchun (ITX) Line), and Seoul buses (except red buses). M-Pass will expire at midnight on the last day of validity. M-Passes are available for purchase at Seoul Travel Information Centers in the Incheon International Airport Passenger Terminal (Gate 5 & 10 at 1F), Jeju International Airport and Jeju Tourism Information Center. A refundable deposit of 4,500 won is mandatory while purchasing an M-Pass, and a non-refundable service charge of 500 won. The deposit as well as any remaining T-money balance on the M-Pass is refunded when you return it to any of the aforementioned locations. 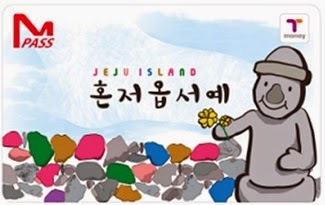 M-Pass can be returned at either Seoul Travel Information Centers in the Incheon International Airport or Jeju Tourism Information Center at Jeju International Airport. M-Pass has the T-money function, so it can be used on buses, taxis, and at select convenience stores as long as there is a usable T-money balance. 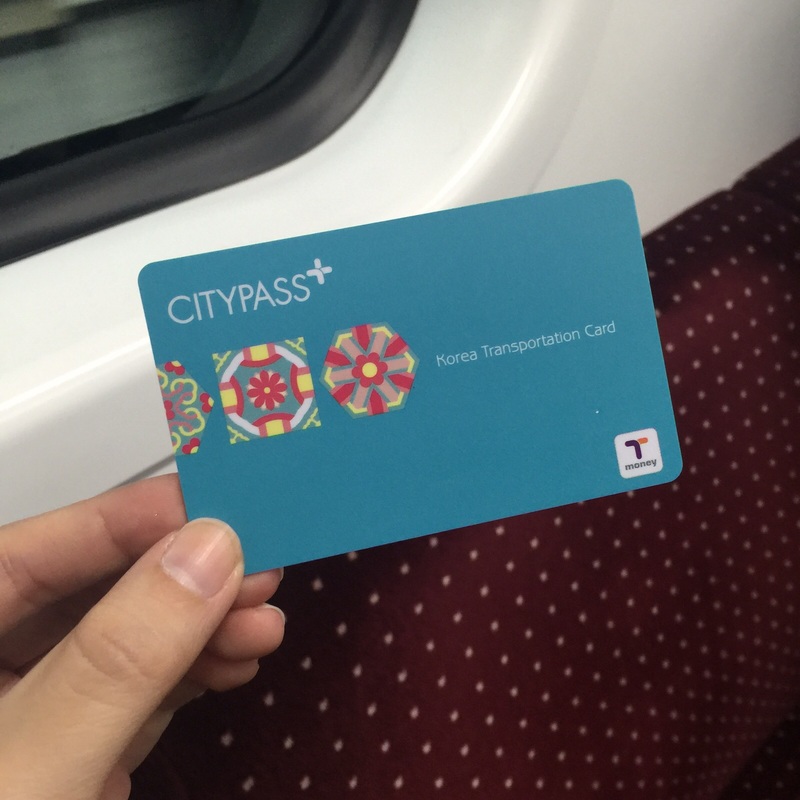 Once you have used all of the M-pass’ allotted subway rides, it can still be used as a T-money card after adding to the balance. So, if you ask me which one is better, then it depends on what you will need. if you will only need a few rides a day, then you will not need to purchase M-Pass Card. The benefits of each pass will depend on our itinerary. Simple, isn’t it? Hope you enjoy your subway experience in Seoul, Good Luck! No, Summer is not over yet, in fact, it will never come to and end here! Wax, skin treatment, sunglasses and bikinis on, yeah, these are the preparations for a total Summer Holiday! Many would visit top tourist resorts, Bali or Maldives, you name it, but not much know that there is another treasure hidden. A private island of your own to enjoy sunrises and sunsets! 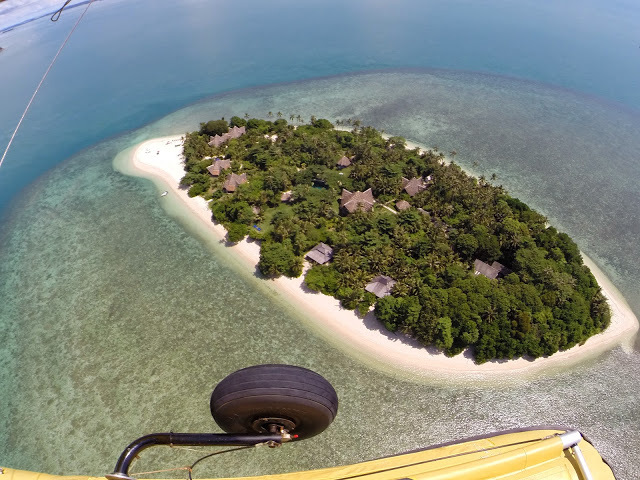 Joyo Island is known as Pulau Joyo in Indonesia, which Pulau itself means Island, and is located in Indonesia’s Riau Archipelago, easily accessible from Singapore and Bintan. 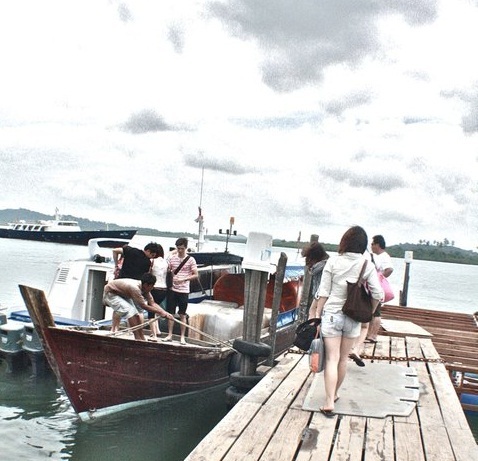 The transportation from Bintan/Singapore to Pulau Joyo is fully arranged, so don’t worry about How to get there. 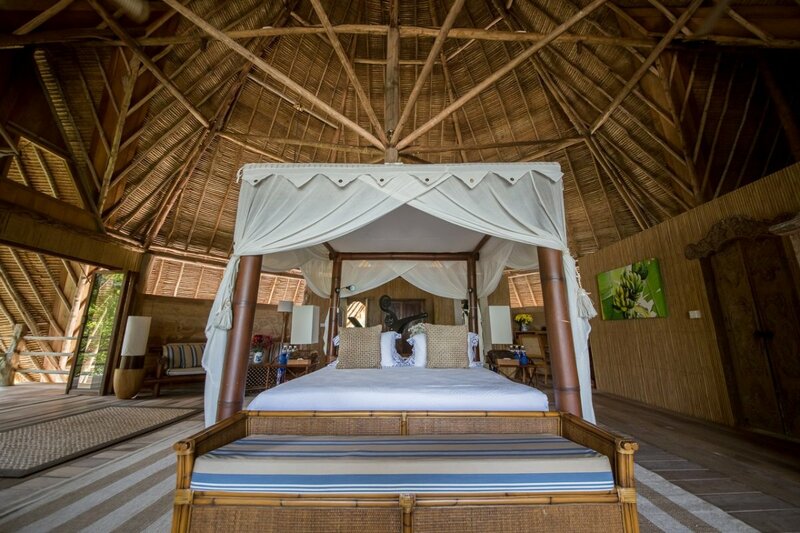 The island is surrounded by white sand beaches and clear blue sea, and consist of 6 palaces and 2 small bale house. 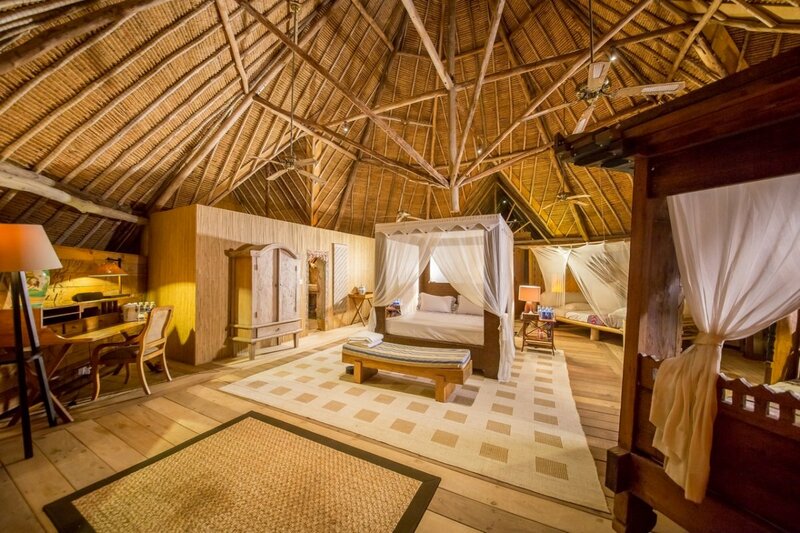 Each Palace has one King sized bed, an ensuite shower and bathroom and a Balinese day-bed. The spacious living area and sea-view terraces are furnished with sun-loungers and sofas-perfect for simply drinking in the peaceful atmosphere of Pulau Joyo. The best thing about Pulau Joyo is you may book the whole island to yourselves, with minimum 12 adults for 2 nights. We were there last time with 26 adults, and were welcomed with warm by the staff once we get there. The rooms and palaces were beautifully designed, meals were all served and fully taken care of, everything was so perfectly arranged. Sea activities, such as snorkeling, canoes, sailing dinghies, and even fishing are available. There are also other activities you could do while in the island, such as billiard, badminton, also fresh water swimming pool, full body massage, and Free WIFI Yeay! So, need no worry about missing your posts in instagram! We had so much laughs and fun exploring the whole island in the first day, such as canoeing, sun bathing, and a little drinking at night. However, we decided to continue our second day by enjoying the serenity and peacefulness of the island before the night ends. We told stories, share our big dreams in this small island, and ended our getaway with ‘happiness’ and ‘love’. We believe this is an island that brought love into one, and may you have yours too! 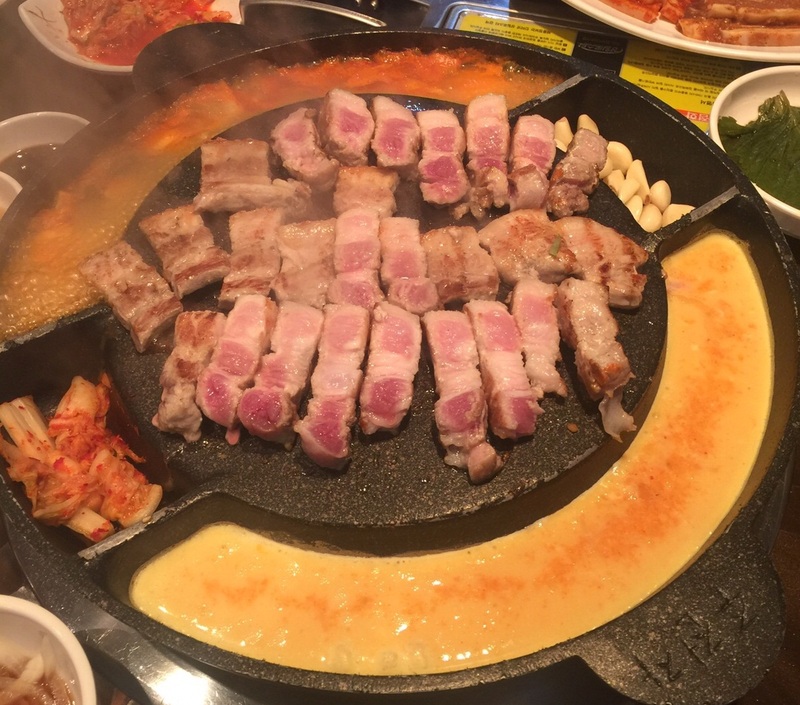 Have you wondered what to dine while in South Korea? I have prepared 10 unique Korean dishes that you must tried while you are there, and they are all local cuisine. Be aware that most Korean do not speak English, especially seniors, so I have also attached the Korean Characters of the food which might probably be a good help for you while doing order. Make sure you tried them all! Remember to say 잘 먹겠습니다 (Jal moke get sum nida) before you have your meal. All of us definitely have heard about Kimchi, it is a fermented korean dish made by various of vegetables. There are over 200 varieties of kimchi recorded according to my source while I attended my class in Kimchi Academy, but the most common kimchi are made from radish, napa cabbage and cucumber. Restaurants will always serve various of Kimchi for complimentary, so don’t bother to order. The taste of Kimchi depending on the vegetables and seasoning itself, some are spicy, and some taste sour. However, the most favorite kimchi is this napa cabbage kimchi, you could find this Kimchi in almost every restaurants in Korea. How does it taste then? It has a sour and little spicy taste. 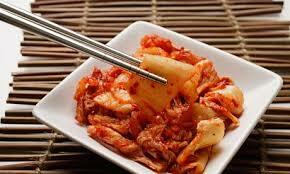 Kimchi is not only eaten with rice, but some also mix Kimchi in their cookings, such as in pancakes or even soup. You might find the taste a little weird if you have never had Kimchi before in your life, because Kimchi is not served while hot, mostly are kept in refrigerator, so many exclude kimchi in their meal because they are not used to having cold vegetable dishes. Every restaurants kimchi taste slightly different, so it is worth a try! 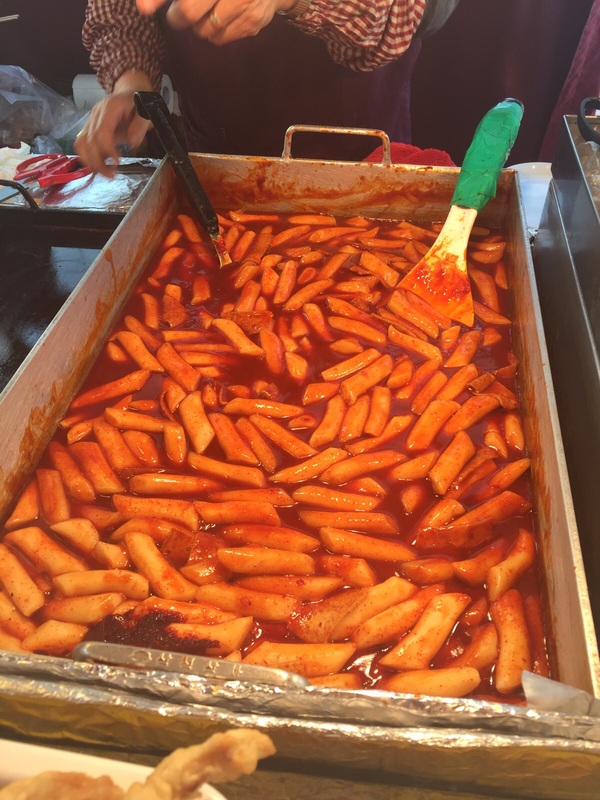 Tteokbokki is a popular Korean food made from soft rice cake, fish cake with sweet red chili sauce, and you could easily find tteokbokki sold in stalls and street foods. FYI, tteokbokki was a part of royal cuisine in Joseon Dynasty, and the older type of tteobokki is savory, while latter version was much spicier, which then becomes more popular than the traditional tteobokki. The name japchae means “a mixture of vegetables” (jap means “mixed and stirred”) and (chae means “vegetables”), and may be served hot and cold. 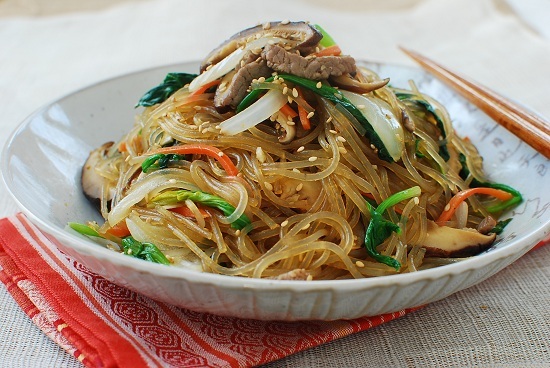 However, Japchae is usually cooked with sweet potato noodles, it was stir fried in sesame oil with vegetables (sliced carrots, onion, spinach) and served with beef, and cooked with soy sauce and sugar. 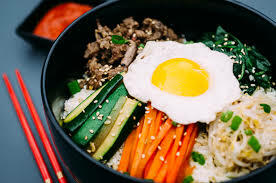 Bibimbap is usually served in a hot stone bow white rice topped with sautéed vegetables, egg, sliced meat, chilli paste, soy sauce, or a salty soybean paste. You will need to stir everything until it evens, then you can start tucking in! The taste might be a little strange to you due to the chilli paste, so I suggest you to have a taste of the chilli paste before you stir them all. Bulgogi means Fire Meat, it usually made from thin slices of beef and marinated before cooking (soy sauce, sesame oil, garlic, pepper, ginger). Bulgogi sometimes are served with lettuce, so you could wrap them together with sliced onions, and whole cloves of garlic and eat them all together. You could add chilli sauce or sesame oil if you would like to have more flavors. Budae Jjigae is also known as an Army Stew, due to food scarcity in Seoul after the Korean War, and the surplus foods from U.S. military bases, such as hot dogs and hams, the food were then being consumed together with Korean traditional flavor and cooking style, and this was how Budae Jjigae was ‘invented’ accidentally. Budae jjigae is often served with instant noodles, ground beef, sliced sausages, baked beans, onions, tofu, chili peppers, macaroni, garlic, mushrooms, and sliced American Cheese. The Stew taste differently depending on the seasonings and flavor added, but my favorite Army Stew is definitely the one with Kimchi. Samgyeopsal is commonly served as an evening meal consists of thick slices of pork belly meat that could be marinated or not seasoned. We could grill the meat ourselves and eat directly from a grill in the diner’s table. 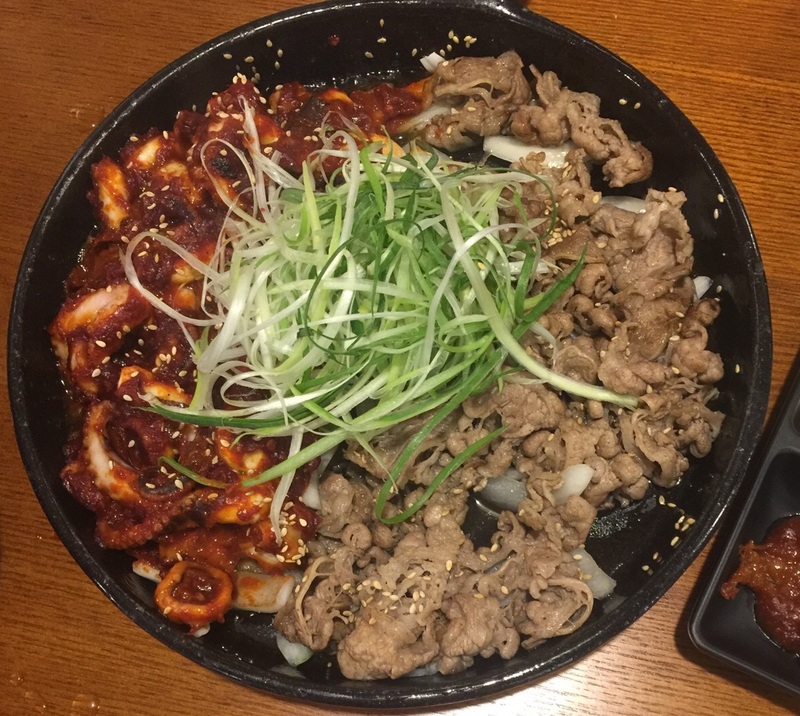 You will need to dip the grilled meat into sesame sauce for a better taste of Samgyeopsal! Galbitang is a soup from beef short ribs with stewing beef, onions, and other ingredients. 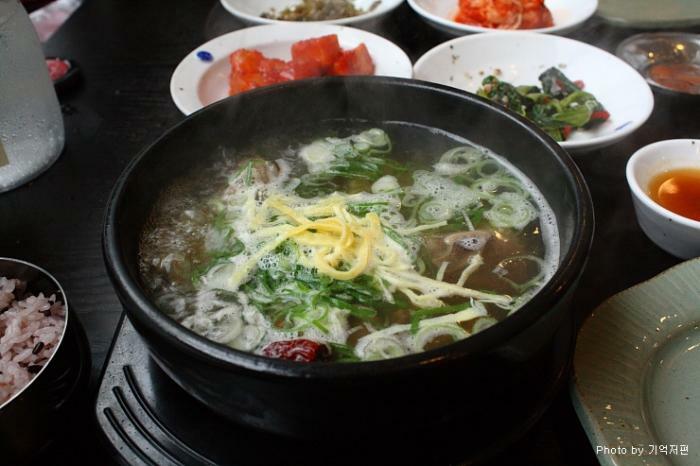 Galbitang has a clear soup, the beef rib is cooked in water for a long time and is eaten as a meal. Galbi and Galbitang are different, galbitang is beef short ribs ‘soup’ while galbi is a marinated or nor seasoned grilled beef short ribs. If Galbitang is soup from beef short ribs, then Seolleongtang is a broth soup made from ox bones (mostly leg bones), brisket and other cuts. The process of Seolleongtang making is not different with galbitang, which is to simmer the ox bones for over a period of hours and even entire day in a low flame. The simmering process is to ensure the flavor from the bones could be gradually extracted. 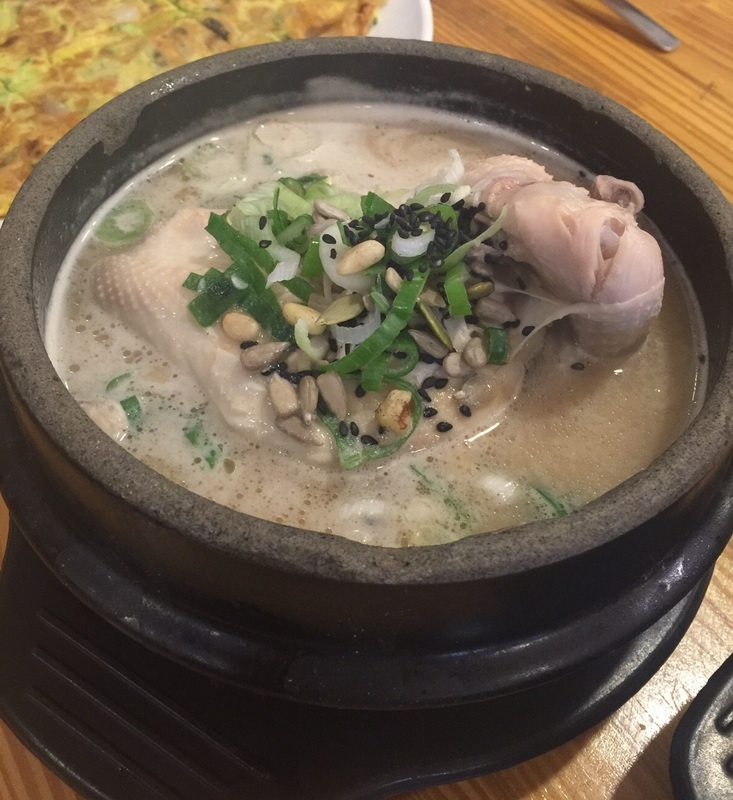 Samgyetang means chicken ginseng soup and usually refered as an energizing soup. 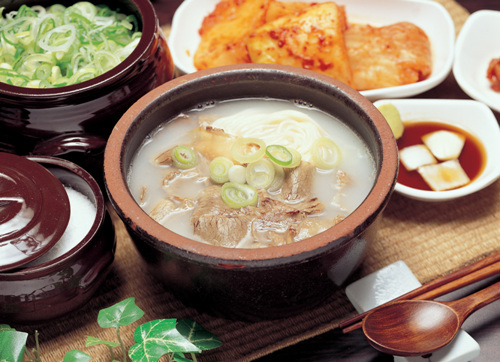 Samgyetang is extremely popular during summer days, as nutrients can be easily lost in summer due to excessive sweating. In the making process, a whole young chicken filled with garlic and rice, scallion and spices is boiled in Korean Ginseng Broth. Also you will need to add some seasoning according to your own preference, such as salt, white pepper. Samgyetang taste slightly the same with our home made chicken broth, only Samgyetang has a distinct ginseng flavor. The dish is also usually accompanied by side dishes and sometimes a small complimentary bottle of insamju will be served in some restaurants. And don’t forget to say 잘 먹겠습니다 (Jal moke get sum nida) after you finish your meal! Photos mostly credited to Susi Chen, thank you dear.